My 1-2-3 Cents : Why Farmer, why? 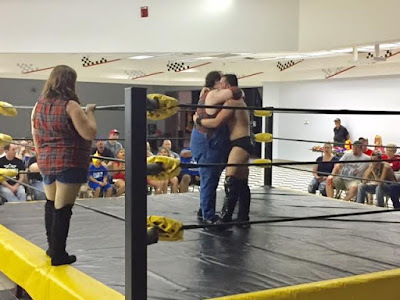 Stride Pro Wrestling's Hot August Night 2 proved to be a great show. All three sets of champions were successful in their title defenses. Roger Matheus beat Cash Borden. Tony Flood pinned Johnny Blade and Maximum Overdrive beat Farmer Billy Hills and the returning JD Wilk. But it's what happened after that match that has people talking. 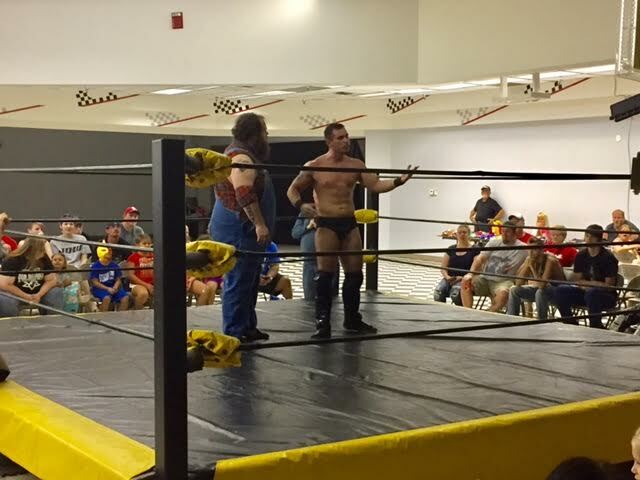 During the course of the match, the champs isolated Wilk. 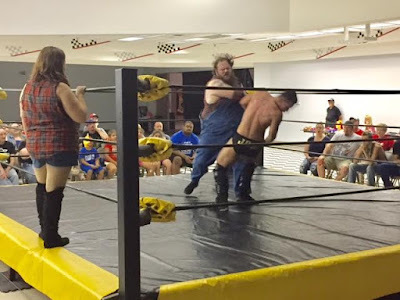 Even when he had a couple of chances to tag Farmer into the match, Wilk continued to battle Ax Allwardt and Scott Phoenix. In my 1-2-3 cents, he was excited to be back and wasn't trying to keep Farmer out of the match. However, Farmer viewed things differently. After a scolding, Farmer hugged Wilk and it appeared everything was cool. But then the big man from Mudlick shocked the crowd and attacked JD. He worked on his previously injured shoulder and left the Dream Chaser crumbled in the ring. Suddenly, Farmer's opponent last month, Matheus appeared. The two high fived one another and left the ring along with Sarah Summers. Farmer wrestles as a bad guy in Cape Girardeau. But the fans here in southern Illinois have always embraced him. I've known Farmer since our days in All American Pro Wrestling, which has been six years. I never thought I'd see him take a cheap shot against a friend. I'm curious to see what's next for Farmer and how this apparent relationship with Matheus is going to develop. Hopefully, we'll get some answers September 9.